Can I Get You A Beer Cocktail? Yes, you read that correctly—a beer cocktail. What exactly does that mean? Well, beer can be paired with liquors or even other beers to create a refreshing and fun drink. With new craft beers coming out weekly, there are many opportunities to mix and match drinks. Creating a beer cocktail isn’t easy, so the results can be mixed. 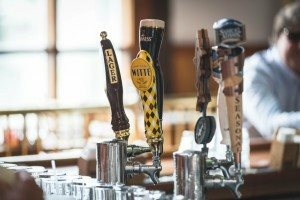 “It’s one thing to take liquor and make a cocktail out of it, but with a beer cocktail, you have to pair alcohol with alcohol,” says Zimmerman. Who doesn’t love chocolate and coffee? These ingredients make a delectable drink after a meal.